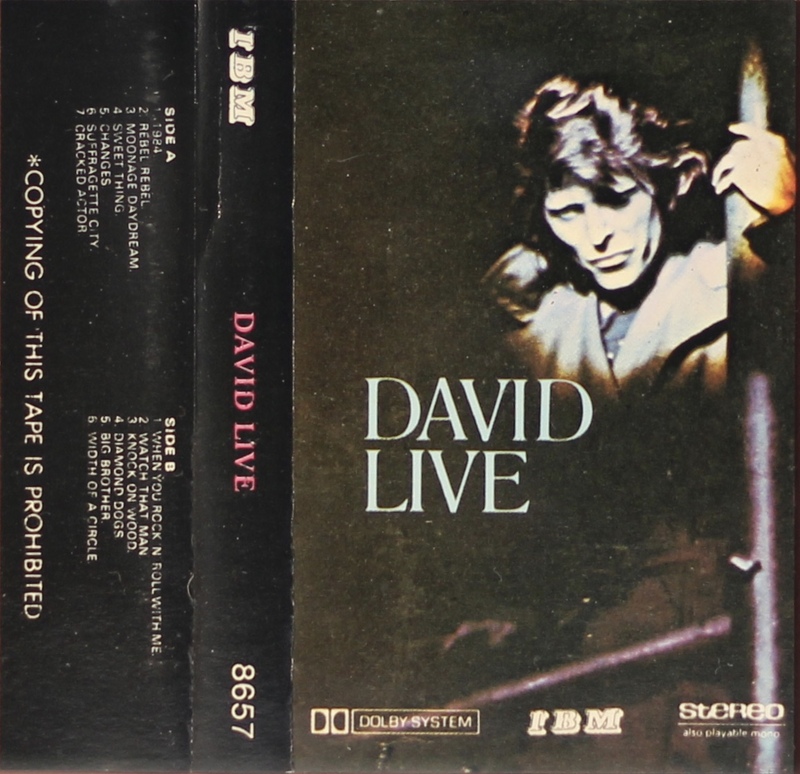 David Live; Saudi Arabia; IBM; 8657. 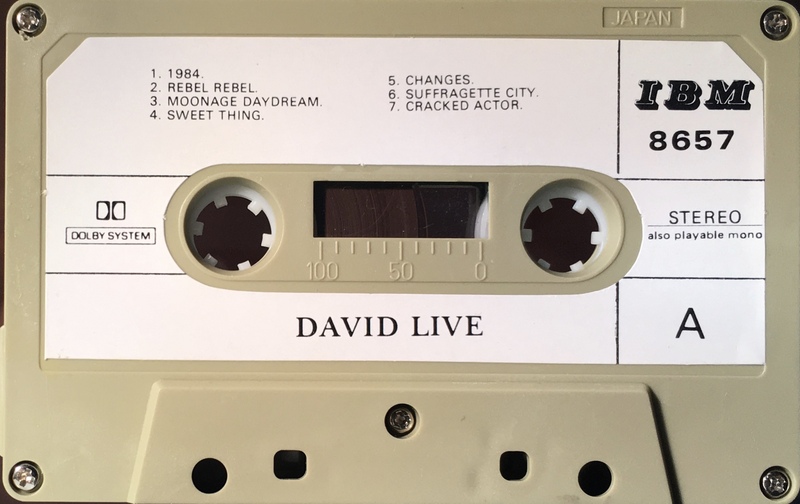 Side 1: 1984; Rebel Rebel; Moonage Daydream; Sweet Thing; Changes; Suffragette City; Cracked Actor. 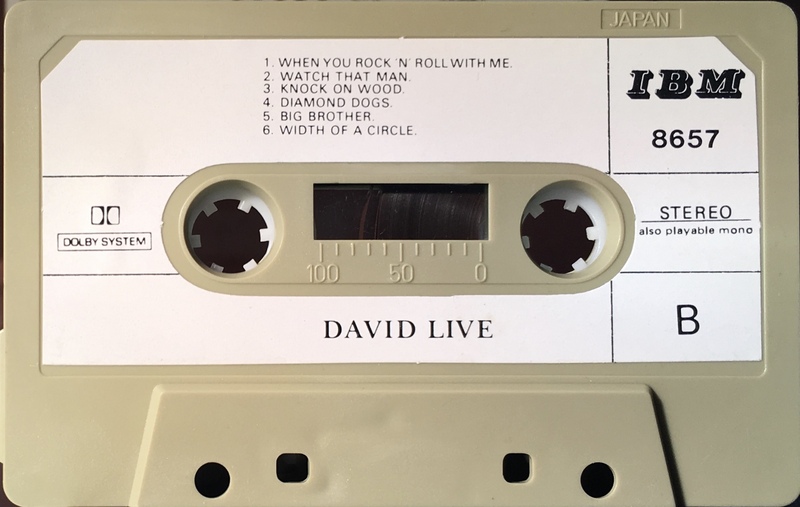 Side 2: When You Rock ‘N’ Roll With Me; Watch That Man; Knock On Wood; Diamond Dogs; Big Brother; Width Of A Circle.